Spring is here! Leo the Lion. 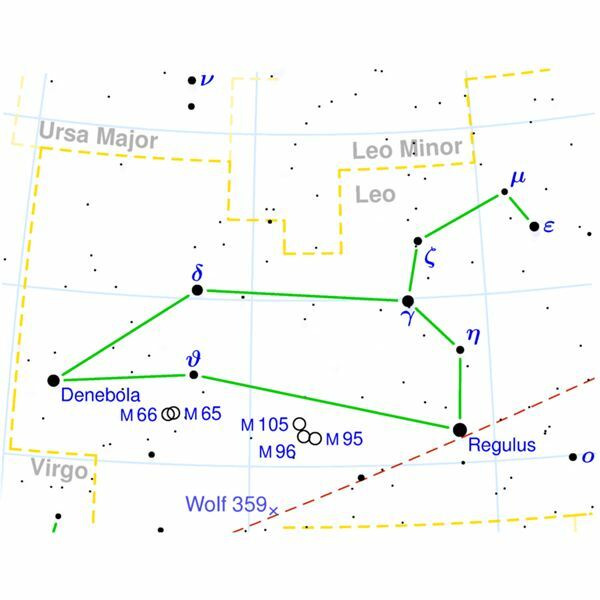 You know that Spring is here when the constellation of Leo the Lion is in the southern sky. 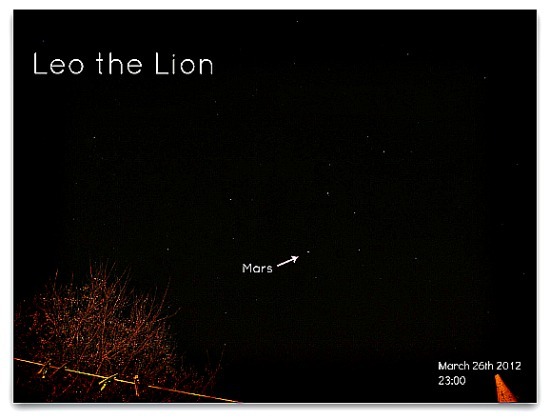 Notice the planet Mars underneath the constellation. Comments Off on Spring is here! Leo the Lion. After the stormy weather of the Christmas period it was great to see the Sun shining brightly yesterday. Actually, even though it is just past midwinter, the Sun was at its closet to the planet yesterday. The fact that we are in winter is to do with the tilt of our planet which is tilted away from the Sun at the moment and nothing to do with distance from the Sun. Anyway I wanted to capture the image of the Sun yesterday using a small compact mirror and piece of cardboard. It is quite simple. Just make a hole in the cardboard with a pencil, just about the width of the pencil. Sellotape the mirror onto the card over the hole. Now carefully point the cardboard with the mirror towards the sun aiming the reflected image onto a wall a few metres away and there you have it! An image of the Sun`s disk. It is possible to see sunspots on the image if you project it into a dark box a few metres away. 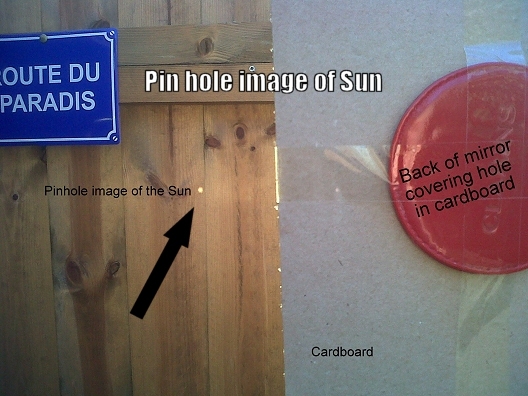 The diagram below shows how to set up your pin hole arrangement. 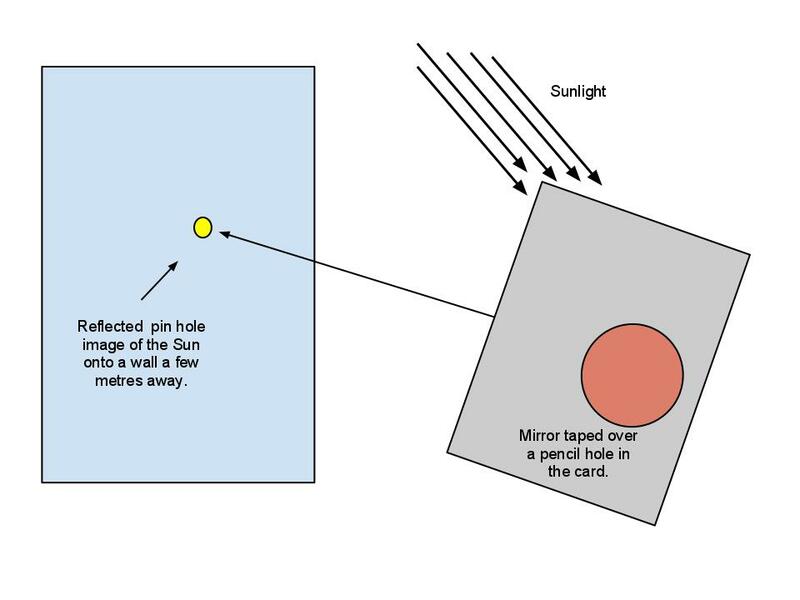 The mirror is placed over the hole and by moving the cardboard the image of the Sun can be moved onto a wall a few metres away. Click the diagram below to see it larger. I projected the image of the Sun onto my shed wall. 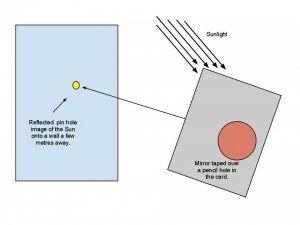 The mirror has the effect of increasing the distance from the pinhole ( actually the hole in the cardboard ) to the wall thus making the image larger. Try this solar project out and see if you can capture the image of the Sun. Comments Off on January Sunshine. I was a boy aged seven at Christmas 1968. I have vivid memories of getting up really early on Christmas morning and my Dad taking me round to Corpus Christi Church Calderbank for the Dawn Mass of Christmas. I was an altar boy and was chosen to serve this Mass of Christmas. The morning was very dark. In those days Scotland `didn`t celebrate Christmas`. So Dad attended Mass with me before going back home to open our presents while he had to go off to work leaving me, my sister, Mam and our year old brother to our Christmas morning. I remember the excitement of that Christmas Eve when three Apollo astronauts: Borman, Lovell and Anders were about to go into Moon orbit. This was the first time a spaceship had gone to the moon. I will always feel the excitement as the news on television broadcast the message these astronauts delivered from the orbit of the moon. The words from Genesis read by the astronauts still make my neck hairs stand on end. But it was Jim Lovell who I remember more for his famous reply to the control centre at Houston after the big engine fired to bring the astronauts home to earth. Faster than light neutrino infographic. It is the biggest story in the world of physics. 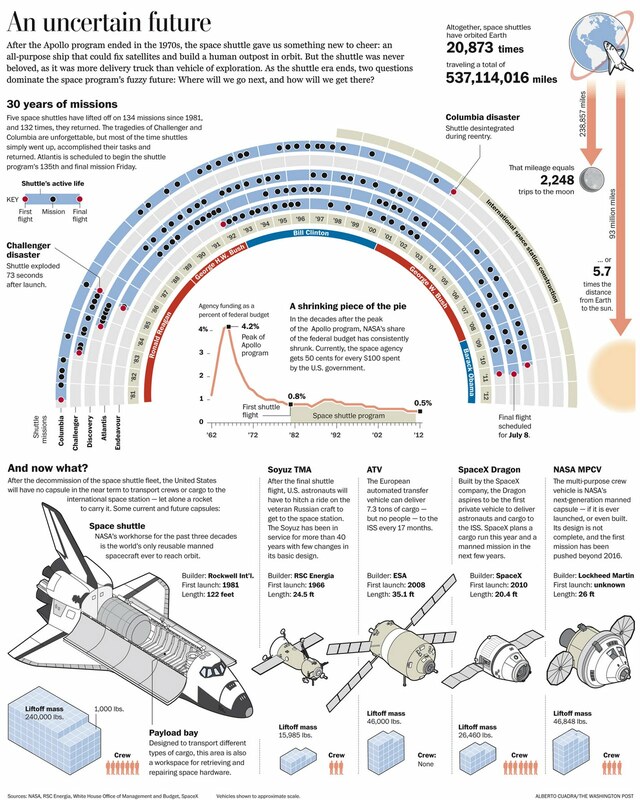 Here is a good infographic to read and impress your science/physics teacher with. Comments Off on Faster than light neutrino infographic. This is a wonderful movie showing how a simple set up of pendulums can create a beautiful pattern of swings. How do you measure the period of a pendulum`s swing? What is the period of the pendulum at the front? What is the period of the pendulum at the back? Comments Off on Pendulum Waves: Dancing Physics. Here is a movie from Fermilab describing what is a Higgs Boson. Comments Off on What is a Higgs Boson? Farewell to the Space Shuttle. 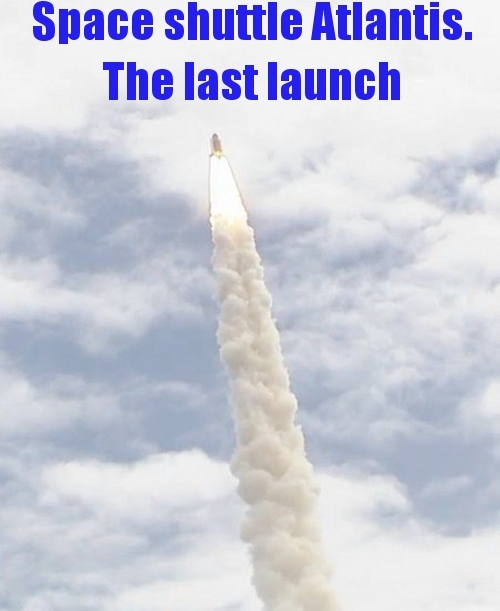 Today sees saw the launch of the last space shuttle. For thirty years this space craft has brought us joy and sadness. I can remember the first launch way back in 1981. I was thrilled as a physics undergraduate to see this new era of space exploration happening, especially when the astronauts carried out physics experiments in space and showed us the Earth in all its glory using modern tv and video. There was the fantastic rescue of the Hubble Space Telescope but also the dire sadness of the two disasters. The Challenger disaster of January 1986 was particularly sad because of the loss of the first school teacher on board Christine McAuliffe. In 2003 a faulty tile caused the disaster of Columbia as it returned to Earth. In all fourteen astronauts lost their lives in the shuttle program. Here is a link to a wonderful documentary on the space shuttle`s history. Farewell Space shuttle and God`s speed on your final return. Comments Off on Farewell to the Space Shuttle. Physics Tricks for the summer holidays! Hi physics lovers! Here are some physics tricks you can try out during the summer holidays. These tricks use physics and are part of a physics roadshow. You can try them out in the house and have some fun. Take also a look at the best ever comedian that ever lived, the one and only Tommy Cooper. 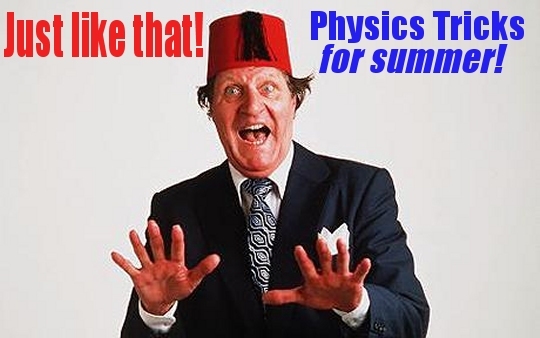 Comments Off on Physics Tricks for the summer holidays!